Marie Pizzino was a vibrant, energetic teenager who joined the AmSkills Youth Pre-Apprenticeship Program in September 2015. During her time in the AmSkills Program she excelled in completing her projects and learning the foundational skills. Unfortunately, Marie tragically lost her life a week before Christmas on December 19th, 2015 when when she was hit by a car while walking home with friends at night. 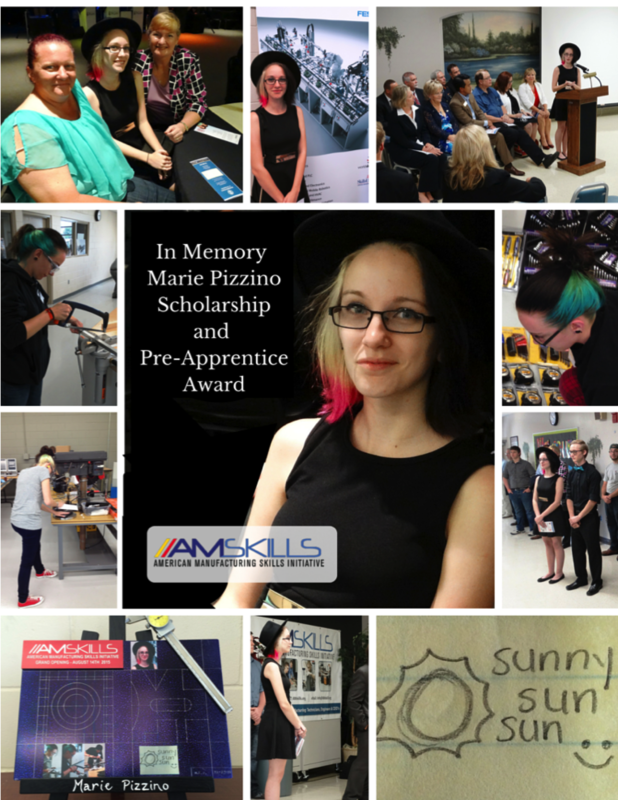 In honor of Marie's Memory, AmSkills has established the Marie Pizzino Scholarship Fund and has created the "Marie Pizzino Apprentice of the Year Award" which is given to the most outstanding AmSkills Apprentice each year.